Celebrating a special occasion but tired of the same old venues? Coventina is happy to announce that we are now offering Spa Parties every Saturday evening from 5 to 8 pm for groups of 10 or more. You and your friends will enjoy the privacy of our entire spa and the attention of our entire staff! 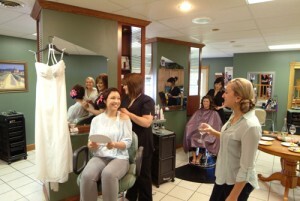 Spa Parties can also be customized for guests of all ages. Feel free to bring your own snacks and drinks, we will provide everything else! Alcoholic beverages are permitted at the spa but we insist that you drink responsibly and bring a designated driver. Adult supervision is required for all guests under 18 years of age. Guests must be at least 16 years old and have a parent present to receive massages, scrubs or wraps. An 18% gratuity is automatically charged for all Spa Party services and a credit card number will be taken to reserve all Spa Party services. To avoid charges please provide 72 hour notice for cancellation and changes. Review our Spa Etiquette policies. The perfect getaway for you and your guests to enjoy each other’s company while being pampered! All regular services offered at our Spa are available along with discounted spa party packages. Click here to view the Spa Party packages.